Well, with every one of my books I would have to say my beloved husband plays a huge part in my books coming to fruition. Without his loving support, I wouldn’t be able to spend so much time at my computer. My daughters are also key supporters. Sometimes when it gets down to crunch time they even bring meals. It’s so nice to “feel the love” when I working! I give a number of library talks in which I share my writing journey, a bit of the writing process, and give a few pointers on how to set and reach publishing goals. I have a couple of TV and radio tapings coming up but sadly don’t have airdates yet. There is not right or wrong answer. If you could only tell aspiring novelists one thing, what would it be? Okay, this will probably sound corny to most, but I’ve never gone on a “Christian” cruise, so that would be my choice. I’d invite the Gaither Vocal Band to head up the music and I’d ask Mark Lowry (hilarious guy) to emcee the entire event from beginning to end. You'd have to ask James and me to go. We love the Gaither Vocal Band and Mark Lowry. Tell us about the featured book? Abbie Ann is the third and final book in my current series, The Daughters of Jacob Kane. Here’s a very brief synopsis: Abbie Ann Kane, the youngest of Jacob Kane's three daughters, is a busy woman. Between running the Whatnot, the family's general store, being active in the Women's Christian Temperance Union, and assisting the elderly citizens of Sandy Shores, Michigan, she has little time for frivolous matters. And those include matters of the heart. When the recently divorced Noah Carson comes to town with son Toby in tow to pursue a shipbuilding business, Abbie Ann tries to keep her distance—but God has other plans in mind. Abbie Ann Kane marched through blinding snow on her way to Kane’s Whatnot, howling winds curling their icy fingers around the buildings of downtown Sandy Shores, hissing and spitting and stinging her nose and cheeks. She pulled her woolen scarf tighter about her neck, but the bitter air still managed to find a hole through which to pass, making her shiver with each hurried step. The Interurban railcar rumbled past, its whistle alerting pedestrians and horses to make way for its journey up Water Street, Sandy Shores’ main thoroughfare. Through its frosty windows Abbie made out a scant number of passengers, even caught a glimpse of someone drawing letters on a foggy pane, probably some bored youngster, she mused. Turning her gaze downward, she headed into the strong, easterly gusts, passing Joe’s Barbershop, Tim’s Shoe and Boot Store, Mildred’s Tailoring Shop, and then Ed’s Meat Market. Two more doors and she would reach her destination, the Kane family general store. Normally, her sister Hannah would be working today, but Abbie had taken primary responsibility for Kane’s Whatnot since the birth of little Rose-Ann Devlin on January 15. The little girl was Hannah and Gabe’s third child, and Hannah had her hands full also caring for 18-month-old Alex and their 11-year-old adopted son, Jesse. Taking responsibility for Kane’s Whatnot was the least Abbie could do, never mind that she barely had time to turn around what with her Sunday school teaching job, her recent appointment as president of the local Woman’s Christian Temperance Union, assisting Grandmother Kane with the household chores, and visiting the elderly Plooster sisters as often as possible. Poor things depended on her to keep them abreast of all the town’s news. “Of course, Papa. Just let me hang up my wrap.” Besides owning Kane’s Whatnot, her middle-aged father with the graying hair and matching beard also partnered with Leo Perkins in the insurance business, the Kane and Perkins office building situated directly across the road from the Whatnot. Both businesses thrived in this lively little resort town situated on the beautiful shores of Lake Michigan where the winters could be bitter but the summers delightfully warm and cheery. The line at the cash register wound around the center aisle. There was Maxine Card and her young daughter Lily, their arms full with candles, two loaves of bread, a wooden bowl, and a mixing beater, Landon and Florence Meir each toting grocery items, and Fred and Dorothy Link, Fred hefting a sack of flour over his shoulder and Dorothy holding some canned goods and a few miscellaneous items. Abbie moved past her father to hang her winter gear on a hook in the small closet behind the counter, which also served as a washroom. After doing so, she glanced in a tiny mirror to rearrange the side combs in her flowing black hair, rubbed her icy fingers together, and joined her father on the other side of the curtain, the potbellied stove at the back of the store not giving off near enough heat to quell today’s sub-zero temperatures. I've loved both of the other books in this series. I know I'll love Abbie Ann just as much. Where can we find you on the Internet? Thank you, Sharlene, for this fun time with you. 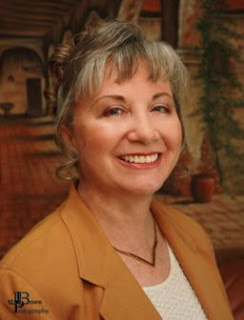 My friend Kathi Macias is back with the two first novels in her Extreme Devotion Series. They are both releasing at the same time. Welcome, Kathi. Tell us how much of yourself you write into your characters. At the deepest level of commonality, all my characters, to one degree or another, are ME. However, in this new Extreme Devotion series, I would say I’m much less visible than in some of my former books. This is because all four books in the series are set in different countries and cultures, with very different circumstances than anything I’ve ever experienced. That fact made the writing of this series a much bigger challenge than I’ve faced before. And it makes them very interesting to me. What is the quirkiest thing you have ever done? I’ve written thirty books in all (published under my own name), and scores more for other people (celebs, etc.) Those thirty books include fiction and nonfiction, series and stand-alones, even two collections of children’s issue-related books. All the most recent ones are visible/available on my website (www.kathimacias.com). Right now I seem to be landing more fiction than nonfiction contracts, so that’s what I’m concentrating on right now. It depends on the type of book I’m writing. It’s much more important in fiction, but when I write contemporary fiction based in the American culture, I just go with names I like and that seem appropriate to the setting. However, in this current series where each book is set in a different country and culture, I study the country’s names and their meanings to choose those which best fit the characters’ personalities and experiences in the story. That’s a tough one. Over the years I’ve worked with some of the biggest names in Christendom and won lots of awards in the process. I’ve had the privilege of ministering in some of the worst prisons in the country, even spending an entire day on Death Row at San Quentin. I’ve spoken to groups of thousands, both in person and via TV and radio, and led Bible studies in jail cells with two or three grateful inmates. I’ve served meals to the homeless, and seen my weekly devotional ministry, which I send out free each Thursday in both English and Spanish, get picked up and read by hundreds of thousands each week. And in the midst of those thirty published books, I have experienced the stunning joy of having one of them achieve best-seller status. But the greatest success or accomplishment is ALWAYS when one of my readers or listeners comes to me and tells me that something I wrote or said enabled them to receive Jesus for the first time and/or to fall more deeply in love with the Father. It’s the ministry of reconciliation, however that reads out in my life each day, that is the most precious to me. Oh, now, that’s a good one! I love the independence of cats (and relate well to that), but God is always dealing with me about NOT being so independent, so maybe that wouldn’t be a good thing. Dogs are so faithful and loyal, so perhaps I’d have to go that route. There are actually two, since the first two books of the four-book Extreme Devotion series are releasing simultaneously in April 2010. The first book, No Greater Love, is set in the turbulent times in South Africa just prior to the release of Nelson Mandela from prison and his ascendency to the presidency. The book opens with a forbidden interracial romance, where many will soon come to know the meaning—and cost—of selfless love. Book two, More than Conquerors, is divided between Tijuana and San Juan Chamula, Mexico, the first a teeming border town and the second a secluded, backward Mayan village where the true gospel is not well received and those who bring the message often pay the ultimate price. When the pastor in Tijuana who has made several trips to San Juan Chamula to deliver Bibles to the handful of Christians in the area has a family member murdered, he must decide if it is worth the risk to continue trying to evangelize the lost in such a dangerous area—particularly with other family members at risk. The two books to follow, Red Ink and People of the Book, are set in China and Saudi Arabia. 1989 was not a good year to fall in love—at least not in South Africa, and certainly not with a white man. Chioma had fought it with every ounce of her being, but there it was, literally, in black and white. Chioma hated whites, and that included Andrew—except that Chioma also loved him. And that made her dilemma even worse. But at least she had never admitted to him—or anyone else—how she felt, nor did she have any intention of doing so. And yet, the way he looked at her, she could not help but wonder if he knew—and if he felt the same about her. It was ridiculous, of course, even to think such a thing about a white man, but if it were true, she could only hope he would never be foolish enough to say anything about his feelings—to her or anyone else. Not only would a relationship between them be nearly impossible, but it would be dangerous as well. And Chioma already had enough danger in her life; she certainly did not need to look for more. Then, of course, there was the situation in Chiapas, which seemed to grow more desperate and dangerous by the day. And his sixty-three year old mother, Virginia Correo Rodriguez, was living right outside San Juan Chamula, right in the middle of it all. I'm interested in both of these stories. How can readers find you on the Internet? They can find me at my website, http://www.kathimacias.com/ , or my blog, http://kathieasywritermacias.blogspot.com/ . I am also on Facebook, Twitter, Shoutlife, and various other social sites. Readers, here are links where you can find these books. Welcome, Lisa. As an author, I know it takes a lot of people to birth each book. Who were the people involved in the birthing of this book, and what were their contributions? For a long time, I had a vague idea of an adventure/suspense novel set in Africa that I dreamed of writing, but none of the editors I spoke to, over a period of several years, were interested in stories set in an exotic locale. Then on New Years’ Eve, four years ago, we were having a time of worship and a good friend of ours spoke to me about moving forward and writing the story of my heart. I felt that his words were God releasing me to write the book. This was confirmed a few months later when I met Sue Brower for the first time. She loved the concept behind the book and told me that the timing was finally right. It took another two years before I received that long awaited contract and the process continued with rewrites, edits, and the input of experts who helped me with medical and pilot questions. So, as you can see, the birthing process of this particular book was literally years in the making, which makes it all the more special to me. Actually, this question sounds pretty close to reality in my life. :-) Almost three years ago, we put our house on the market in South Africa where we’d lived for several years and moved to Brazil for language school to learn Portuguese. Then, after six months of school, we packed up and moved to Mozambique where we are involved in church planting and discipleship. If I had to choose to move again—something I don’t want to do for a very long time—I’d probably be happy as long as it was somewhere where the sun shone year round and the sea was close by. I don’t like hot, hot summers, but I need the blue skies and sunshine! Yes, I remember those times, and I loved receiving reports from each of those places. If you could only tell aspiring novelists one thing, what would it be? Don’t give up on your dream! The writing journey is not for the faint of heart. It’s a lot of work, a lot of rejection, and a lot of late nights battling with your characters. But if it is what you really want, stick with it. Learn, study, and write! Hmmm… I’ve never been on a cruise so I’ll have to stretch my imagination on this one. :-) I think I’d love to be a part of a cruise where there were Christian artists of all types--singing, art, authors, dance, etc—heading up a Creativity Cruise where the rest of us could listen to the awesome music and dance, glean from their experience, and be inspired to use our own artistic talents for Him! Blood Ransom is a fast paced suspense set in the heart of Africa, with a strong thread of romance. Here is the blurb. Deep in the heart of Africa, two American lives are about to change forever. Natalie Sinclair is working to eradicate the diseases decimating whole villages in the Republic of Dhambizao, when she meets Dr. Chad Talcott, a surgeon on sabbatical from a lucrative medical practice now volunteering at a small clinic. Where is God in the chaos? Will Chad, Natalie and Joseph win their race against time? tree trunk — one of hundreds whose flat crowns reached toward the heavens before disappearing into the cloudless African sky — and smiled as the familiar hum of the forest welcomed him home. Another flying insect buzzed in his ears, its insistent drone drowned out only by the birds chattering in the treetops. He slapped the insect away and dug into the pocket of his worn trousers for a handful of fire-roasted peanuts, still managing to balance the bag that rested atop his head. His mother’s sister had packed it for him, ensuring that the journey — by taxi, boat, and now foot — wouldn’t leave his belly empty. Once, not too long ago, he had believed no one living in the mountain forests surrounding his village, or perhaps even in all of Africa, could cook goza and fish sauce like his mother. But now, having ventured from the dense and sheltering rainforest, he knew she was only one of thousands of women who tirelessly pounded cassava and prepared the thick stew for their families day after day. 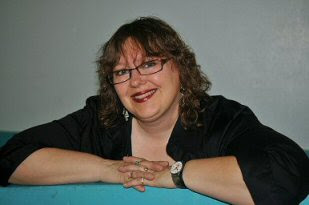 Stop by and see me at http://myblogintheheartofafrica.blogspot.com/ or my blog at http://www.lisaharriswrites.com/ . And thank you, Lisa, for spending this time with us. 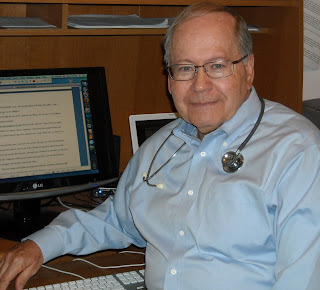 I've been looking forward to running this interview with my friend, Dr. Richard Mabry. I've read and reviewed Code Blue. You can find the review by clicking on the Book Review link at the top of this blog. Welcome, Richard. Tell us how much of yourself you write into your characters. Well, obviously I use what I learned in 36 years of medical practice to make that part of my writing authentic. In everything else, I use a lot of imagination to make the characters come to life. I don’t think that there’s much of me in the male leads of my books—maybe what I’d like to be. For the female characters, especially the protagonists, I depend on my wife for input. Kay didn't lead you astray with any of the female characterizations. What is the quirkiest thing you have ever done? Conquered my fear of heights long enough to walk across the Capilano Suspension Bridge in Vancouver, BC. It’s 150 yards long and 230 feet high (that’s 23 stories!) and it sways with every step. Never again. I guess it depends on what you mean by “writer.” While I was practicing medicine, I wrote or edited eight textbooks and had over a hundred medical papers published. 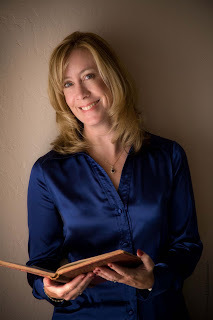 After my first wife died, I used journaling as a coping tool, and the process of turning those thoughts into the basis for a book (The Tender Scar) was the first step toward writing seriously. I think the turning point came at the Christian Writers’ Conference at Glorieta, NM, in 2003, and the people who got me started on the road to serious writing were James Scott Bell and Alton Gansky. More than 90% of what I read falls into the realm of adventure, suspense, mystery, and police procedurals. The other part consists mainly of non-fiction work like the books written by my pastor, Dr. Chuck Swindoll. I mentioned The Tender Scar: Life After The Death Of A Spouse. Kregel published that in 2006, and it’s still selling and ministering. 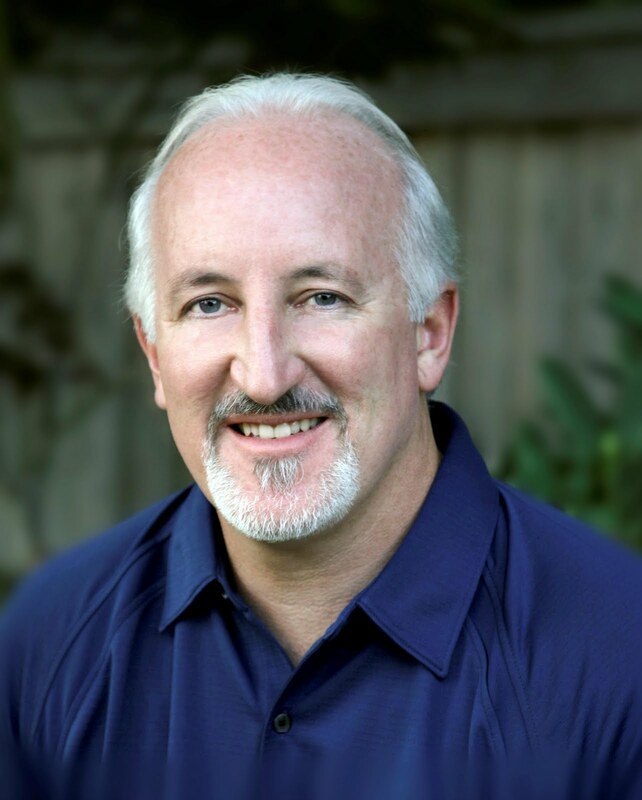 My first novel was about a doctor who failed as a professional baseball player, then got a second chance, but discovered that there’s more to life than either medicine or baseball. The second novel dealt with a young surgeon struggling with the frustration of a fledgling marriage, a dying father, and a wife who’s the target of a stalker. The third novel involved a surgeon who was kidnapped in a case of mistaken identity. About that time, I began to figure out that, with 85% of readers of Christian fiction being women, I’d better have a female protagonist. Thus, Dr. Cathy Sewell, the lead character in Code Blue was born. I suppose the question of whether I’ve actually remained sane is open for discussion, but assuming I have maintained my tenuous grasp on mental health, I have to give a lot of credit to Kay. God has blessed me once again with the love of a wonderful woman, and she keeps me grounded. In addition, I’ve played golf once a week for over ten years with my friend and attorney, a standing date that began with my need for support after Cynthia died, continued after the death of his wife, and now that we’ve both remarried, just involves beating a little white ball around the course while not keeping score. Oh, and I can’t forget our church. Since moving to this area, we’ve been members of Stonebriar Community Church. Every Sunday, Dr. Chuck Swindoll blesses us and sends us out ready for the next week. In the beginning, I just chose random names, often combining first and last names from my past. I even dug out my high school yearbook for this. However, I soon learned that names should help the reader paint a mental picture and keep the characters straight. Now I spend a good bit of time going over names until one seems to fit the image I have in my mind for the character. I’ve been blessed with so many things, both personally and professionally, that it’s hard to settle on one. It’s not an “accomplishment,” but I’m terribly proud that my three children (Allen, Brian, Ann) have grown into fine Christians. They are all married, are making significant contributions to society, and are living out the values Cynthia and I tried to model for them. And I can’t leave out my grandchildren—again, not an accomplishment, but a source of pride nevertheless. I suppose I’d be a cat. That way, people would feed me and care for me, and I wouldn’t have to answer to anyone. That’s an easy one. Anything Tex-Mex. Since moving across town, I’ve become especially partial to the chile relleno at Christina’s. The periodic crisis of faith that every writer experiences. You read a great book, and think, “How can I compete with this?” When that happens, I find that it helps to dig out something I’ve written and polished a while back. Quite often, I end up thinking, “I don’t really remember writing this, but it’s good.” Then I thank God for the opportunity, and try to leave the ultimate reception of my writing to Him. There’s so much to learn. You can’t sip from a fire hose, so take it in small doses. Learn the basics of plot and structure, point of view, all the groundwork that has to be as natural to you as breathing. The best way to do that is to attend writers’ conferences if at all possible, and supplement that with reading and re-reading some of the classic books on writing. While you’re doing all that, examine carefully the reason you want to write. If it’s for money, forget it and get a job as a greeter at Wal-Mart. If it’s for fame, stand in line to audition for American Idol. If it’s to fulfill what you feel is a divine call, ask God to keep that flame burning every day, because there are going to be many tough times that will almost extinguish it. And look upon other writers as friends and colleagues, not competitors. As I write this, the final edits aren’t in, but here’s the opening as it currently stands. The black SUV came barreling out of nowhere, its oversized tires straddling the centerline. Cathy jerked the steering wheel to the right and jammed the brake pedal to the floor. Her little Toyota rocked as though flicked by a giant hand before starting to spin off the narrow country road, hurtling toward the ditch and the peach orchard beyond it. For a moment Cathy felt the fearful thrill of weightlessness. Then the world turned upside down, and everything went into freeze-frame slow motion. The floating sensation ended with a jolt, and Cathy’s scream was lost in the screech of ripping metal. The deploying airbag struck her face like a fist. The pressure of the shoulder harness took her breath away. The lap belt pressed into her abdomen, and she tasted bile and acid. When her head began to clear, she found she was hanging head-down, swaying slightly as the car rocked to a standstill. In the silence that followed, her pulse hammered in her ears like distant, rhythmic thunder. See, Readers, isn't that a good hook? Now, Richard, how can readers find you on the Internet? My website is http://rmabry.com/ , while my blog is http://rmabry.blogspot.com/ . I am also on Facebook as RichardMabry and on Twitter at http://twitter.com/RichardMabry . Lena, thanks for this opportunity. I appreciate it, and treasure your friendship. Richard, thanks for allowing me to showcase your debut novel. Judylynn is the winner of Liberty's Promise by Amber Miller Stockton. Robyn is the winner of Never Say Never by Lisa Wingate. 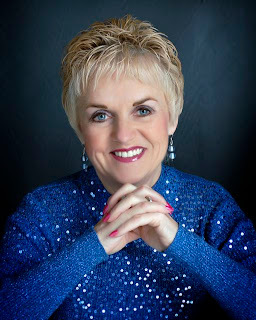 Genre Reviewer is the winner of God's Truth Revealed by Kathy Howard. Nancye is the winner of Never Say Never by me (Lena Nelson Dooley). 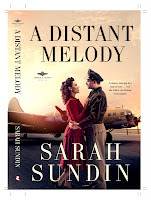 AJ Hawke is the winner of A Distant Melody by Sarah Sundin. 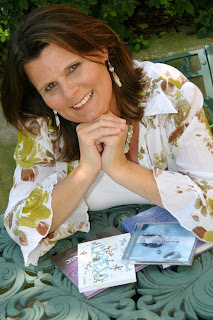 We have an exciting lineup in 2010, including my next book Love Finds You in Golden, New Mexico, which releases in May. You can view the book trailer by clicking on the Newsletter link at the top of this blog. You can order a Kindle edition of my book now. I'm really happy to have you on my blog, Jim. Tell us how much of yourself you write into your characters. If you like my characters, a lot! :-) They say your first novel can’t help having a heavy dose of autobiographical material and I agree. Most of my characters have different parts of me in them, probably 40% is me, but 60% are things I see in others which I add to make the personality more interesting. I have to pick just one? I’ll go with the following since it’s the first that popped into my mind: As I stood in line with a friend waiting to see the first Spiderman movie I watched a local radio station interview people coming out of the showing before ours. I poked my friend in the side and said, “Hey, let’s join the crowd coming out and pretend we just saw the movie.” As we walked by the reporter he asked what I thought of the movie. I said, “Three thumbs up.” The reporter said, “Three thumbs?” I responded, “Yeah it’s a superhero anomaly thing.” A few weeks later as friend of mine said, “I think I heard you on KIRO am!" Yep, they ended airing my strange comment. You sound like a real fun person to be around. When did you first discover that you were a writer? Seventh grade. My English teacher had a video camera and wanted our class to act out a story one of the students had written. She chose mine. It made me realize I might have some talent and brought the desire to write to the surface. I found that story recently. Fun to read it again after all these deca … uh, I mean years ago. It’s certainly not printable, but there was a spark of ability even back which makes me think God gives writers their desire and gift at birth. Everything. Fiction, non-fiction, trivia books, biographies, magazines, sci-fi, speculative, thrillers, literary, romance. I’m one of those strange men that loves Braveheart, but also gets dust in my eyes every time I watch You’ve Got Mail. Same thing with books. And I always have at least five books going at the same time. Doesn’t everyone? 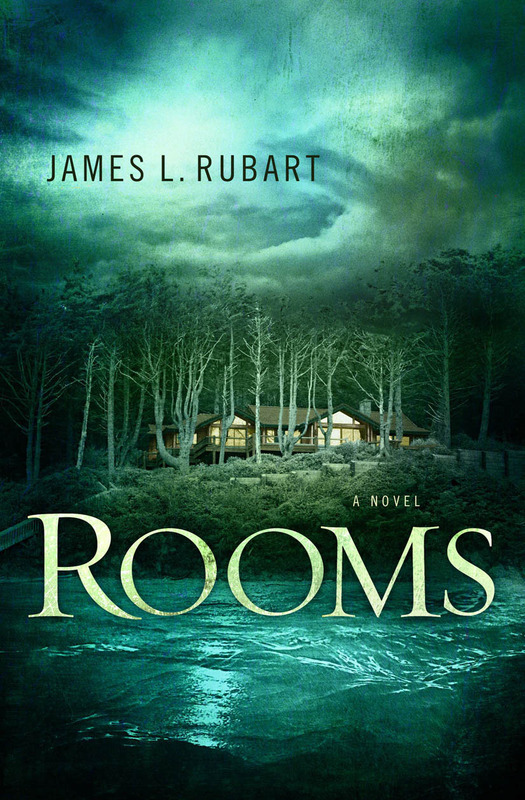 ROOMS is the first and only novel I’ve written. Yeah, I know, it’s rare for the first one to sell. But I’ve been a professional writer for over sixteen years as a marketing executive, so I have been honing my craft for a long time. I also wrote a non-fiction book for a friend who wanted to self-pub. I just finished my second novel, Book of Days, and I’m diving into my third, The Chair. Actually, I sold my first novel, too. I just happened to hit the market at the right time. How do you keep your sanity in our run, run, run world? Sane? Oh, I see you’re kind enough not to tell your readers what I’m really like. :-) To be serious, I water ski, dirt bike with my sons, take long walks with my wife, and once or twice a year I head for eastern Washington by myself for two or three days of complete solitude. During that time I talk to no one. It’s a chance to write, pray, refresh, relax, plan and get perspective. I often pull names from childhood friends. It’s a fun inside joke for those who know me. But in the case of my protagonist in ROOMS—Micah Taylor—I took my two son’s first names and combined them. It was my way to honor them for letting me take the time needed to finish that pup. Easy answer! A dolphin, no question. They're fun, adventurous, intelligent, and fast. To me they are the embodiment of freedom and joy; the type of life I believe is available in Jesus. Food singular? Wow. I see you unveil the tough questions in the middle of the interview. No worries, I’m up for it: Artichokes with melted butter. Crab legs are a very close second. Those are two of my favorite foods, too. What is the problem with writing that was your greatest roadblock, and how did you overcome it? My fear. Fear I was like those American Idol Wanna Bes that think they can sing and have no clue how horrific they sound. So I dabbled in writing but never jumped off the cliff. One day my wife says, “I think I’m supposed to go on a fast, but I don’t know for how long or why.” After three days I say, “Honey, I know why you’re fasting. I’m supposed to be a novelist.” She says, “What? I’m the one who goes hungry and you get the answer?” She was kidding, but it was pretty funny. That was 2003. At that point I dove in full force, finished ROOMS in late ’05, went to my first writing conference in spring of ’06 (which my wife told me I had to go to) had an agent six months later and we sold ROOMS a year-and-a-half after that. So I overcame the fear mainly through God’s favor and my amazing wife. Figure out if you need encouragement or critique. These are very different. Some authors ask for critique when they’re really asking for someone to believe in them, cheer for them and encourage them. Other authors are ready to do the hard work; they’re willing to have their writing torn apart because they want to improve. It’s okay to be in the first camp, but when you feel you’re ready for the next stage, realize anything worth getting requires intense determination, belief in yourself and willingness to be teachable. What would you find if you walked into the rooms of your soul? One man is about to find out. ROOMS is the story of a young Seattle software tycoon who inherits a home on the Oregon coast that turns out to be a physical manifestation of his soul. The home makes Micah face his darkest wounds and propels him into his true destiny. And he finds a freedom he’s always longed for. Most of us don't live a life of freedom and healing even though Jesus says that’s why he came. (Isaiah 61:1, Gal. 5:1) He came to restore us, save what was lost, and guide us into our calling. (For example, my destiny was writing, I knew it deep down but was too scared to pursue it). And he came to heal our broken hearts. ROOMS is the story of a young man who discovers his true destiny, and finds healing for his heart and freedom. It's set in Seattle and the Oregon coast. Why would a man he never knew build him a home on one of the most spectacular beaches on the West Coast? Micah Taylor stared out the windows of his corner office overlooking Puget Sound, rapping his palm with an edge of the cryptic letter. Cannon Beach, Oregon. Right on the ocean and built by his great-uncle Archie, at least that’s what the letter claimed. But of all the towns up and down Highway 101, why there? A place that repulsed him. A place he cherished. Both at the same time. Fate wouldn’t be that cruel. Shannon stood in the doorway, eyes bright behind her Versace glasses, short-cropped salt-and-pepper hair outlining her face. She’d been Micah’s administrative assistant for three years. Smart and not easily intimidated, what churned in her five-foot-eight frame made her one of the strongest links in his company’s chain. “I hate being called boss.” Reminded him too much of his dad. “Yes, I know.” She pulled her glasses down and gave him her pirate look—one eye closed, the other squinting. Micah tried to smile and tossed the letter announcing his inheritance onto his desk. Shake it off, he told himself again. It didn’t help. “Right,” Micah said as they fell into step and marched down the halls of RimSoft. Normally he loved Fridays. The creativity his team poured out was astounding. If employing people better than yourself were an Olympic event, Micah would be swimming in gold. But today wasn’t a regular Friday. Today a bizarre letter sat on his desk trying to dredge up memories he’d buried forever. Very intriguing! How can readers find you on the Internet? And thanks for spending this time with us, Jim. I'm happy to have this friend of Robin Shope on my blog. Welcome, Lesa. Tell us how much of yourself you write into your characters. I put a little something of myself into each of them – the love of a certain food such as icing-filled, chocolate chip cookies, or the intense dislike of something, or as in my latest heroine, clumsiness. LOL. I’m quirky so narrowing it down to one thing is quite a challenge. But if you asked my family they’d say my OCD tendencies. Age 13. I won a writing contest and was published in our local hometown newspaper, The Suwannee Democrat. I love romances. But I also love suspense/thrillers and mysteries. I enjoy reading Francine Rivers but I’m also a huge fan of Frank Peretti, Ted Dekker and John Grisham is a huge favorite. A non-fiction book, Above Your Dreams God Has a Plan, which my husband and I adapted into a screenplay, Above Your Dreams. I’m working on a young adult novel with my daughter called The Dating Game and an inspirational romance/suspense novel. Besides my faith in God, I walk. It really helps me to clear my mind to get outside and just walk, think, and pray. Some days, I walk a lot! Sometimes from a baby book. Other times it’s a name I’ve heard from a movie or I’ve met someone with that name and like it. I usually know what my character looks like first and then I try to find a name that fits their look and personality. But, sometimes my character doesn’t like the name I’ve chosen and I have to rename them! Raising three children who are productive, loving, compassionate individuals. They have been the most challenging and rewarding events of my life. I’d be my Schnauzer, Jack. He’s really got it made. I have an incurable sweet-tooth. Icing filled chocolate-chip cookies. Putting my rear-end in the seat and doing it. I have a love/hate relationship with writing. I get so intimidated by the blank computer screen and I’ll find other things to do other than write, like weeding. I overcome it by allotting myself time to write, giving myself a deadline, and making myself stay there until I’ve produced something. It doesn’t have to be good – it just has to be written. If I can fill up the screen – I can go back and make it good! Read. Read the types of books you want to write. Take some courses, either online or at a local college. Go to writer’s conferences. And most importantly never give up on your dream. Someone to Trust is a story of betrayal and forgiveness. The heroine Megan is a very real, flawed character who is accident-prone and carries deep wounds from her childhood. These wounds were brought on by her father leaving his family for another woman and then compounded when Megan is betrayed again as an adult by the man she has fallen in love with. Unhappy with her life in the city, and running from her past, she moves to the Smoky Mountains to a beautiful, peaceful community. There she literally bumps into Lee Grainger, who she assumes is married and vacationing in the area. Unknown to Megan, Lee is actually in the area to help Megan’s best-friend’s husband in his veterinarian practice. Believing Lee to be married, Megan is infuriated when he asks her out. Once the misunderstanding is worked out Megan accepts Lee’s friendship but has difficulty moving beyond her guilt and mistrust to accept the love that is blossoming between them. Finally a visit from Lee’s ex-girlfriend and a figure from Megan’s past forces Megan to face the shadows that have been haunting her and entrust her heart to Lee. She never knew what hit her! One minute, Megan McCormick was walking down a sidewalk lined with quaint shops, and the next, her bottom was firmly planted on it. She was certain there would be an indentation left in the cement when— if—she got up. Minutes before, Megan had been juggling too many packages and minding her own business. Okay, that wasn’t entirely true. She had been munching on an icing-filled chocolate chip cookie. They were her favorite, fresh from the bakery down the street. She tried not to frequent the wonderful place too often, lest she sabotage a lot of dental work and diligent exercising, but today, she was having a treat. Hey, a girl deserved to have her favorite cookie every once and awhile. She’d also been somewhat engrossed in the couple strolling hand-in-hand just ahead of her. Admittedly, she was an avid people watcher and they intrigued her. As caught up in one another as they were, they were oblivious to observance. Love was in the air, as spring announced the impending, jubilant arrival of summer, with melting snow cascading down the mountainside, creating trickles in some places and streams in others. Wildflowers were springing up where the warm sun kissed the ground, while birds, returning from their winter flight south, heralded their arrival home with triumphant chirping. The young couple must have been affected by the springtime bounty of love, for they stopped every several feet to touch, to whisper or to simply smile into one another’s eyes. For a few moments, Megan gazed at them wistfully. Though the tender scene was one stories were made of, it aroused unwanted memories for Megan, causing her heart to ache. She had been in love—once. She had been a complete fool. A blind fool. One who should have known better. Stop it! She silently admonished herself, trying to regain control of her tortured thoughts. http://www.lesahenderson.com/ and http://www.possibilityproductions.net/ . I’m also on FaceBook, Twitter, and MySpace. Thank you, Lesa, for giving us a peek into your life. Welcome back, Amanda. It's good to visit with you again. Why do you write the kind of books you do? I write romances because I love happy endings, historical romances because I’m fascinated by what life was like in earlier times, and Christian romances because I believe in the power of God’s love to change our lives. In today’s world with all the economic uncertainty and political divisions, I think it’s more important than ever to tell stories that affirm positive values, and what could be more positive than love and the promise of eternal life? I so agree with you. Besides when you came to know the Lord, what is the happiest day in your life? The day my husband and I decided we were going to marry. Although we weren’t officially engaged until a few months later, I don’t think you’ve ever seen two such happy people as we were that afternoon. Yes, I remember that day in my life with James. Very special. How has being published changed your life? The most important change is that it’s brought me many new friends – both readers and other writers. I find it energizing to be surrounded by people who love books as much as I do. Your very own Charlsey’s Accountant from the Wild West Christmas anthology. And, I must say, you hooked me from the first page. I'm glad. That's what I tried to do. What is your current work in progress? I’ve just started the first of a new trilogy. All of the books will take place in Wyoming in the late eighteen hundreds, right before Wyoming became a state. (Shameless promotion for my new home: Wyoming was the first state to grant women the right to vote, and it had the first woman judge, first women on a jury and first woman governor.) Now, back to my WIP. The first book, which is tentatively titled When Summer Ends, is set at Fort Laramie, the Army post where all the wagon trains stopped on their way West. Since I’ve been intrigued by the journey west ever since I watched westerns on TV, Fort Laramie was one of the first places my husband and I visited after we moved to Cheyenne. From the moment I stepped inside the parade ground, I knew this would be the setting for a book. There’s so much history there – material for many, many books. That would be fun. How do you choose your settings for each book? Although in most cases the specific locations, like Ladreville in the Texas Dreams series, are fictional, I always set my stories in places that I’ve visited or where I’ve lived. Even with all the research that’s possible using the Internet and the library, for me it’s important to have experienced the area, to know what the sky is like, how rough the terrain is, how tall the trees grow, and on and on. As for the Wyoming Winds books, ever since that first trip to Fort Laramie in 2004, I had been mulling over ideas for books set in Wyoming, so when my editor asked if I would send her a proposal for a Wyoming trilogy, I jumped at the opportunity. And my third trilogy for Revell, which takes place during World War I, will be set in New Jersey, where I lived for a long time. As you can see, they’re all familiar places for me. Kim Vogel Sawyer. As I mentioned before, one of the pleasures of being a published writer is that it’s put me in contact with other writers, but Kim is one I haven’t met in person. I admire her writing – If you haven’t read My Heart Remembers, put it next on your must-read list – and would love to have a few hours to talk to her about how she creates her characters and plots. Actually, I know Kim very well. We worked on a novella team that produced a proposal for a novella collection based on the orphan trains. When the collection wasn't picked up by the publisher, Kim asked the rest of the team if we minded her using the idea in a full-length novel. It became My Heart Remembers. I was very happy when that book came out. What are your hobbies, besides writing and reading? I enjoy sewing – in fact, I make most of my own clothes – and cooking. And when we travel, you’ll find me with a piece of needlepoint or a knitting project in my hands. Finishing the first draft is always a challenge for me. Although I’m enthusiastic when I begin, by the time I reach the middle of the book, I’m convinced that it’s the worst piece of prose ever written, and – if I didn’t have a deadline – I’d probably stop writing right then. Fortunately, I’ve learned that this is a normal (for me) stage and that once I start the second draft, I realize that what I’ve written isn’t so terrible after all – it’s simply a draft that needs polishing. I push myself to finish the first draft, which I refer to as the skeleton, so that I can have the pleasure of adding the flesh and blood, not to mention the fashionable clothing, to my skeleton. Never give up. No matter how difficult the writing process seems, no matter how discouraged you may be by criticisms and rejection, keep writing. If Paper Roses was my marriage-of-convenience book, and it was, Scattered Petals is my marriage-of-inconvenience story. Here’s the description Revell put in their catalog. Longing for adventure, Priscilla Morton leaves Boston and heads for Texas, never dreaming that the adventure she seeks will leave her badly injured and her parents dead. Priscilla is determined to rebuild her life and make a home for herself in the beautiful Hill Country. But the bandits who took her parents’ lives also destroyed her hope for the future. Ranch foreman Zachary Webster knows what the future holds for him, and it’s not a woman like Priscilla. She deserves a cultured East Coast gentleman, not a cowboy who’s haunted by memories of his mistakes. The best thing he can do is leave her alone. When necessity draws them together, Priscilla and Zach begin to forge a life that, like the scattered petals of her childhood, is filled with promise. But then the past intrudes, threatening their very existence. Priscilla Morton tried to smile at the woman on the opposite side of the stagecoach. Now that Papa was asleep, Mama’s normally quiet voice had turned querulous, sending waves of regret through her daughter as her words reminded Priscilla for what seemed like the thousandth time that this was her fault. She was the one who’d insisted they come. “Soon.” Priscilla reached across to pat her mother’s hand, her smile wry when she recalled Mama warning her to be careful what she wished for. Priscilla had wished for adventure, never dreaming that the adventure would involve comforting her mother as if Mama were the child. When they’d received Clay’s letter inviting the family to his wedding, Priscilla had realized this was the opportunity she had sought for so long and had convinced Mama and Papa they should go to Texas. Though she’d relished the idea of leaving Massachusetts and venturing into parts of the country that her sister had described as wild and foreign, she had been careful in phrasing her arguments. While her parents would not willingly seek adventure, they loved Clay, and so it had taken little persuasion for them to agree that Clay deserved to have family with him at his wedding, even if the family was only his by marriage. At home in Boston, it had seemed a fine plan. But the journey had been more difficult than Priscilla had expected. Though Mama had been stoic on the train, once they’d left its relative comfort for the bone-jarring stagecoaches, her mood had deteriorated, and the days had turned into litanies of complaints. Dust, mud, insects, the rutted roads, even the scenery, which Priscilla had found beautiful, had bothered Mama, and now that the other passengers had left the coach, she saw no need to mute her laments. This was not the adventure Priscilla had sought. My web site is http://www.amandacabot.com/ , and I LOVE hearing from readers. Lena, thanks so much for chatting with me and for inviting me to be part of your blog. This was fun! I loved having you here, too, Amanda. Leave a comment for a chance to win a free copy of the book. The author has requested that the winner come from within the United States. I want to introduce you to my friend in the UK. Liz Babbs. She's been in America several times, and I've been privileged to spend time with her. Welcome, Liz. You are writing nonfiction. Do you also write fiction? Yes I do. But I see myself very much as a beginner trying to write fiction. I’ve been on several courses, including the ACFW conference. I love the freedom of writing fiction, after so many years writing non-fiction. It is wonderfully liberating to be able to make things up! 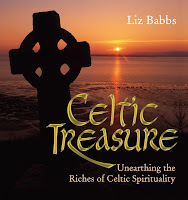 That I’m a missionary and use my writing in outreach and evangelism, often deliberately writing books that will cross over into the general market, like my new gift book Celtic Treasure which is on sale in Barnes and Noble. I did not have a deep longing to become a writer, I’ve been a dance fanatic for years and danced semi-professionally, but when I was healed through prayer of the illness ME (Chronic Fatigue Syndrome), I sensed God was calling me to write a book called Can God Help ME? Now at first I assumed I’d completed that task, because I wrote about my personal journey through ME for my Masters dissertation. This was bound and made into a book, as part of my degree. So job done! No. God soon showed me that is was a ‘real’ book that I was meant to write and so with knees knocking and heart pumping, I took my dissertation to a booksellers convention which many publishers attend. Fortunately, my idea was welcomed. But I was told that for my book to be a publishable book, it needed to be much less academic, and would require a complete re-write! Can God Help ME? was published in 1999 and has since helped thousands of sufferers and their carers. Some have even been healed through reading it! What a wonderful testimony of the power of our marvelous God. Tell us about your family. I’m single, but have 7 wonderful nephews and nieces that range from 2 - 17. And yes, I have changed the odd nappy in my time! My mother lives about 30 minutes away, too. I’d love to have pets, but I’m away too much. Yes. I am working on a book to help folk make space for God in their busy lives. It will be a very practical book and include creative ways of praying on the go etc. I’m also working on a spoken word and music album to accompany Celtic Treasure. I guess I should tell people that I'm on YouTube, too. I know there are at least three things up on the site. What kinds of hobbies and leisure activities do you enjoy? I love comedy and perform a one-woman show called ‘Licensed to Chill’ which is a mix of performance poetry and stand-up comedy. Folks love it and can bring their non-Christian friends, and so it’s great outreach. It allows me to let my ‘Bridget Jones’ side out! I also love going to the cinema and theatre. I enjoy visiting famous author’s houses like Jane Austin, Wordsworth, Shakespeare etc. I’ve even written poems in Wordsworth’s garden. That sounds like it would be inspiring. Why did you write the featured book? To be honest, I was not looking to write another Celtic book, but God had other ideas! He stopped me in my tracks and gave me a ‘picture’ of an ancient monastic archway, like the remains of Lindisfarne Priory on Lindisfarne. Through this archway, all kinds of people, who weren’t Christians, were coming to God. Some were even dancing and celebrating. And so Celtic Treasure (Lion Hudson 2009) was born. Writing it really strengthened my faith and I’m delighted that it is being distributed in the US as well as the UK. The amazing Christian heritage we have. One to be proud of. And that we have rich Christian treasures to share with a world that’s losing its way. Celtic Christianity is a bridge to the secular, so I’d love folk to buy this book for their non-Christian friends. Non-Christians are automatically interested in Celtic Christianity because it is less dogmatic and fits with our culture, where many seek a simpler less materialistic lifestyle. Celtic Christianity also respects God and creation, the Trinity and is focused on the message of the Beatitudes modeling love for our neighbor. Thank you, Liz, for spending this short time with us. 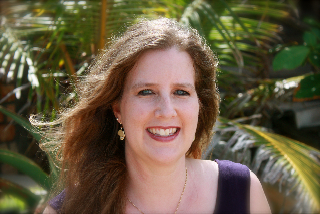 Readers, check out Liz's website and blog. 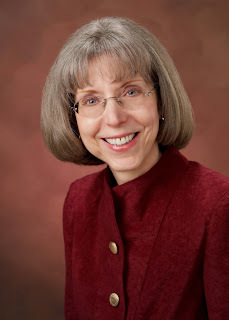 I love having my friend Gail Sattler on the blog, and we're introducing her first long novel. Welcome, Gail, I love your photo. God has really been moving in your writing life. What do you see on the horizon? I’m not really sure. I’m moving toward opening myself up more for engagements as a motivational speaker, so I’d like to see if that’s a door that God is going to open for me. My family life is not the average “Leave it to Beaver” family. My husband works between home and his office, he owns and operates a web design company, and that’s always a challenge, and never a 9-to-5 job. My sons are getting older and moving into young adulthood, and it leaves me with mixed feelings to watch them drive away in their own cars. What happened to the days of walking them to school and always knowing where they were? That's a real adjustment, for sure. Has your writing changed your reading habits? If so, how? Believe it or not, I’m co-writing a supernatural thriller with my husband. Angels and demons and all that stuff, with the final scene to be a battle of the supernatural powers at the gateway of a portal to Hell. Curious? Haha. Sounds as if I would like reading it. What outside interests do you have? Of course I’m a dog lover, I have 2 dogs, but I the biggest interest I have is music. I play electric jazz bass for a local jazz band, and this past fall I bought myself a double bass and joined my local concert band. I’m still playing bass for the worship team at my church. I don’t have time to play much piano anymore. One day, it is my dream to learn to play the violin. A lofty goal. How do you choose your settings for each book? Clinically. I first think of a plotline and my major characters, then I pick the setting that would work best for the plot. Sometimes it’s a place I’ve been, sometimes it’s not. But if it’s not, I find someone who lives there or who has lived there before I start writing about it. Edgar Allan Poe. That man knew how to wrap up all the details together for the final scene. Perseverance and not letting distraction get the best of me. Read with a critical eye, pay attention to the “guidelines”, and never stop striving to learn more about the craft. I don’t think I need to elaborate on any of those things. The Narrow Path is about two Mennonite people. The heroine is from a big city and lives a busy and active modern life. She enjoys a fast pace and loves the technology. The hero is from a small town and lives in a sheltered and traditional community. His lifestyle only incorporates as much from technology and the world around him as he has to in order to survive in the world and not live in a horse-and-buggy commune. The story revolves around the culture class while they work together as best they can to put together a Christmas musical/drama to draw in the people of the communities around them. I can do better. I can give you the cover and the first three chapters in a PDF flip book. It’s awesome! Here’s a link. I’m really easy to find. Readers, here's a link to the book. When you use this link to order the book, you'll help support this blog. Denise is the winner of How to Hang Loose in an Uptight World by Elizabeth Baker. Carole is the winner of The Easter Edition by Robin Shope. Brenda is the winner of The Captain's Lady by Louise Gouge. Jan Cline is the winner of Homecoming by Rosey Dow. Lee Smith is the winner of Lost Mission by Athol Dickson. All and none. I try to think like my characters do, so a bit of me goes into each one. I may never have experienced what my heroine is going through, but I know what it’s like to feel rejected, joyful, angry, terrified, ashamed, or content. However, I’m careful not to make my characters just like me. How boring would that be? Since I’ve always loved to observe behavior, I enjoy filling my novels with a variety of types. You stumped me. I even polled family and friends. The most common answer: “You wrote a book.” I may be odd, I may be weird, but apparently I’m not quirky. January 6, 2000. Although I always read voraciously, I didn’t consider a writing career. For one thing, I knew getting published was as likely as becoming a professional ballerina. I studied chemistry at UCLA, then received my doctorate in pharmacy from UC San Francisco. I married a fellow pharmacy student, and I chose to work one day a week as a hospital pharmacist and stay home with our three children. Then on January 6, 2000, I had a dream with such intriguing characters that I felt compelled to write their story. That first novel will never be published, nor should it, but it served a purpose. Since God called me to write, I decided to write seriously. I joined a critique group, attended writers’ conferences, and learned as much as I could. Although I write historical romance, I rarely read it. I gravitate toward the classics, women’s fiction, and contemporary or historical fiction—but it has to have a romantic thread or I lose interest. I also love a good suspense novel and anything with humor. Currently I’m reading The Queen of Sleepy Eye by Patti Hill (for fun), Revision & Self-Editing by James Scott Bell (for writing craft), and Me 262 in Action by Hans-Henri Stapfer (for research). How’s that for an odd collection? That is eclectic all right. What other books have you written, whether published or not? I’ve written two contemporary romance novels which should be burned when I die—my starter novels. I’ve also completed the second novel in the Wings of Glory series, and I’m almost done with the rough draft for the third book. Ideas are percolating for a second series. I'd love to feature all the books in the Wings to Glory series. How do you keep your sanity in our run, run, run world? Sanity? What sanity? I have a husband, three children, a cat, and a yellow lab. I work part time, and teach Sunday school and women’s Bible studies. But I love it. I thrive on a certain level of busyness. However, as an introvert, I crave solitude. My quiet time with the Lord is a high priority, and I’m careful not to schedule much during those lovely, silent hours when the kids are at school. Oh, I love names! Sometimes a character comes to me with name attached, and other times I have to search for the right name—the sound, the meaning—is it a biblical or family name? For historical novels, I feel the names should fit the time period. If an author puts a Ma’Kenzee in the Old West, she’d better have a really good reason, and the other characters had better stumble over it. One of my favorite resources is The Writer’s Digest Character Naming Sourcebook by Sherrilyn Kenyon, which lists the most popular baby names for each year. Since my novels are set during World War II, I find names in obituaries and from patients in the hospital where I work. We had a patient named Latrina recently. Ouch. But isn’t there a great story in that? That’s a tough question. I could say I’m most proud of my degrees, my publishing contract, or the accomplishments of my children—and I am proud of those. However, I agree more and more with Paul that I consider my accomplishments “a loss compared to the surpassing greatness of knowing Christ Jesus my Lord” (Phil. 3:8). I take most pride in obeying God’s call to write, and to keep obeying in spite of the obstacles. I asked my thirteen-year-old daughter, and she said “a sloth.” That’s the problem with writing—no one thinks you’re actually doing anything! By the way, never ask the opinion of your teenaged daughter. And I've learned never ask the opinion of your teenaged granddaughter. What is your favorite food? Chinese food. Love it. A dozen people at a Chinese restaurant so you can try a dozen dishes, plus soup and appetizers? Ooooh. The greatest roadblock I faced was the market. When I first submitted my World War II trilogy in 2003, I received my first “good” rejection letters. They loved my writing, my story, and my characters, but historicals weren’t selling. Did I have any chick lit? I didn’t. From 2004-2007, I heard the same thing. God kept telling me to persevere and to finish the trilogy, so I kept plugging away. The hardest part was when family and friends asked, “So when is your book coming out?” Kind of like being nine-months pregnant—for five years. Then at the 2008 Mount Hermon Christian Writers’ Conference, I heard, “Chick lit is so over. Give us historicals!” I submitted to Vicki Crumpton at Revell, and in September, Revell offered me a three-book contract. Be teachable and learn as much as you can about the craft of writing and the publishing process. Join a writers’ group, attend conferences, read books on writing, and join American Christian Fiction Writers (ACFW). Keep writing, keep submitting, and keep praying. A Distant Melody is the first book in the Wings of Glory series, which follows the three Novak brothers, B-17 bomber pilots with the Eighth Air Force based in England during World War II. In A Distant Melody, Lt. Walter Novak flies a B-17 bomber in battles over Nazi-occupied Europe, while Allie Miller serves in the Red Cross against the wishes of her wealthy parents and controlling fiancé in California. Walt and Allie meet at a wedding and begin a correspondence that binds them together—can they untangle the web of lies, engagements, and expectations that keeps them apart? One whole delicious week together. Allie Miller clung to her best friend’s promise and to the train ticket that would deliver it. Allie followed an inlaid marble pathway through Union Station and breathed in the glamour of travel and the adventure of her first trip north. Anticipation trilled a song in her heart, but the tune felt thin, a single line of melody with no harmony to make it resonate. Allie shrank back from the discordant note. Her bridesmaid duty might seem trivial, but she honored it as much as J. Baxter Hicks did his duties as business manager. They entered the waiting room, which blended Spanish Colonialism and modern streamlining. A wood-beamed ceiling peaked overhead, and iron chandeliers illuminated hundreds of men in Navy white and blue or Army khaki and olive drab. None of the men cast Allie a second glance. Yet when Mother rose partway from her seat and beckoned with a gloved hand, she attracted dozens of stares with her blonde beauty. Sarah, thank you for sharing this time with us. Readers, here's a link where you can find the book. By using this link when you order it, you'll be helping support this blog. New Information About This Blog! !